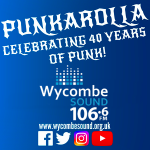 County Durham’s favourite punk band, Penetration, played a headline slot at High Wycombe Town Hall on Friday 2nd June 1978. Their appearance was during a break from their support slot on a national tour with The Buzzcocks. 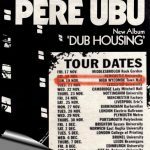 Support for Penetration at The Town Hall was originally billed as London based Reggae Regulars but was changed closer to the date of the gig to a selection of more local bands. 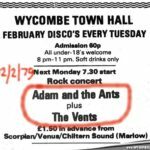 Although not particularly well attended, the evening was a chance to catch a band that were gaining ever increasing positive reviews and attention through the national music press. 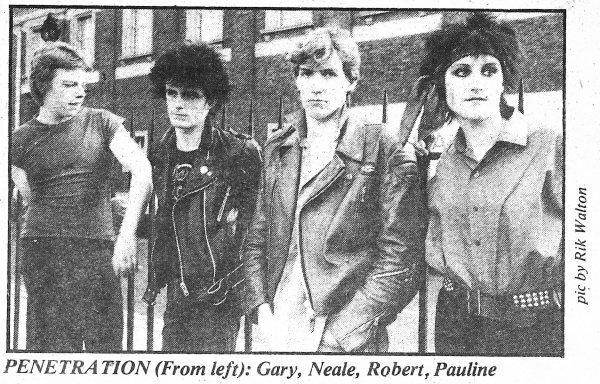 Penetration had formed towards the tail end of 1976 with a line-up of Pauline Murray (vocals), Robert Blamire (bass), Gary Smallman (drums,) and Gary Chaplin (guitar). 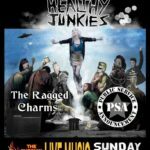 The band was named after a Stooges’ song. 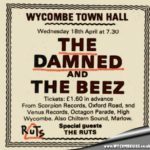 They released their first single, ‘Don’t Dictate’ in November 1977 on Virgin Records and the follow-up, ‘Firing Squad’ was released the month before their visit to High Wycombe. 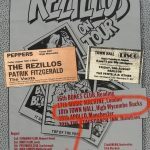 Their tour with The Buzzcocks had seen them take in another date in Buckinghamshire – Saturday 6th May 1978 seeing them support Manchester’s finest punk export at Aylesbury Friars. 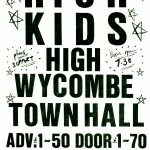 However, the High Wycombe date was a rare chance for Penetration to headline at a decent sized venue outside of a major city. 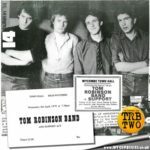 The song would become ‘Movement’ and get an airing at High Wycombe Town Hall and in Phil Sutcliffe’s Sounds article, the journalist states: “‘Movement’ is probably the crucial song in Penetration’s development, the convincing assertion that they are far more than punk buzzsaw merchants.” He added: “The vocal and and words feel just right with Pauline embodying actual power and potential rather than the impotent, straight-jacketed aggression which characterised early punk. 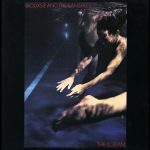 This is the mood of ’78 (I hope), action instead of self-pity”. I’m grateful again to my long-time friend Buzz who not only attended the gig but also wrote his immediate thoughts in his 1978 diary. 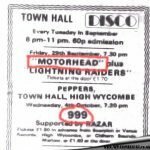 The listings for this gig in the music press had the support line-up down as The Ventilators, Vice Creams and The Yonkers. 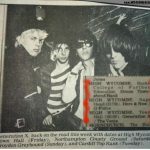 However Buzz confirms via his diary that the latter two bands didn’t play and were replaced by The Mystery Girls. 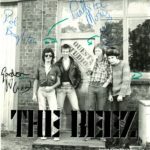 A band of this name had been due to play at The Newlands Club in October 1977 but they never appeared. I assume they were a band from the High Wycombe area? I have no more information at this stage, so if you are able to add any background, please get in touch. The small audience can be attributed to a number of factors, including the chaotic and violent scenes at the previous Town Hall gig – the 28 April 1978 appearance by Siouxsie and The Banshees – an evening where the moronic actions of those playing up to the stereotypical ‘punk’ and ‘skinhead’ factions, ruined the enjoyment for the vast majority who had come along to simply enjoy the music. 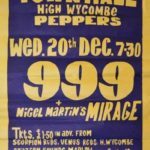 In an attempt to try a fool the ‘thickos’ (as described by gig promoters of the time), details of up and coming concerts were kept low-key. 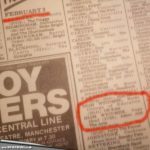 Outcome, the ‘thickos’ struggled to figure out when and where the gigs were. While ‘music-lovers’ (i.e. those who could read), turned up as normal. Result, smaller audience and no trouble but bands and promoters were left wondering whether it was all worth the bother. They would recruit an additional guitarist in July 1978 when Fred Purser joined. 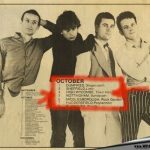 A first John Peel session was recorded the same month and in October 1978 they released their debut album, ‘Moving Targets’. 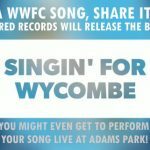 A headline performance at Aylesbury Friars followed in November 1978 and a second album, ‘Coming Up For Air’, was released in September 1979. They split-up the following month to concentrate on separate projects. However, in 2001 they reformed with original members Pauline Murray and Robert Blamire. 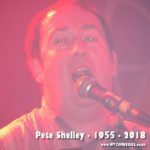 They were later joined by former Buzzcocks drummer John Maher. Note classic example of ‘Thicko’ being dealt with by ‘Music Lovers’ at around 1:20. 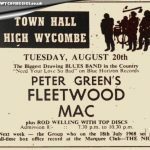 I interviewed Neale Floyd in 2013 for the US music magazine ‘The Big Takeover’ and we’ve kept in touch. Here’s Neale’s reaction to Paul’s piece on the 1978 Wycombe Penetration gig; ‘No memory of it whatsoever,I’m afraid Martin. We did so many gigs back to back in those days. Indeed, a break from the Buzzcocks tour was yet another gig?! Of course, I must take umbrage with Mr.Lewis’s friend over his remark”the 3 blokes had little stage presence” but he’s right about the equipment.”New Recruit” was definitely not in the set as it hadn’t been written then, not even sure “Stone Heroes” was quite that early. I was 19 then, not 17’. Great post Paul – I love the site.